Isabel and Ugo interview Simon Werrett, Lecturer in Science and Technology Studies at University College London. We talk about his upcoming book “Thrifty Science”, which discusses historical practices of repair and reuse. First, what is thrifty science? Simon proposes this concept as “an attitude to materials”, a way of making use of things and making them last through practices like repair or reuse. His research focuses on practices of the 17th and 18th centuries, however, he claims that all of us can be thrifty today through experimenting with and repairing the things we own. Aren’t Restart Parties a great space for thrift? Next, we discuss how innovation and thrift may sometimes seem opposed but are actually tightly connected. Thrift implies coming up with new ways of doing things, and hence can be an important source for innovation. While history has mostly focused on “light-bulb” moments of discovery, historians are increasingly researching more everyday or seemingly “mundane” practices like reuse or repair. What are the obstacles to being thrifty? We talk about repairable design, mentioning the case of butterfly switch keyboards on Apple laptops as a current example. Simon comments on the importance of repairability and design through the story of the seventeenth-century scientist Robert Hooke, who would build his instruments in such a way that they would be easy to repair and tear apart. Then, we talk about how the concept of “waste” has changed over time. Simon comments on the etymology of certain words like “rubbish” (from demolition and rubble) or “trash” (used in shipyards), and he reinforces that these words originally described discard materials as things waiting to be used or repurposed, instead of permanently dumped or destroyed. He then comments on how products became increasingly specialised in the Victorian period and with this, potentially harder to repair. Finally, drawing parallels between early modern and current repair practices, we come to the importance of the community. Thrift flourishes within networks of knowledge, materials and skills. In the early modern period, people would put these networks in place to repair their things, and only go to artisans for the most complex repairs, such as china riveting – before the invention of special adhesives, they would mend broken china with staples! 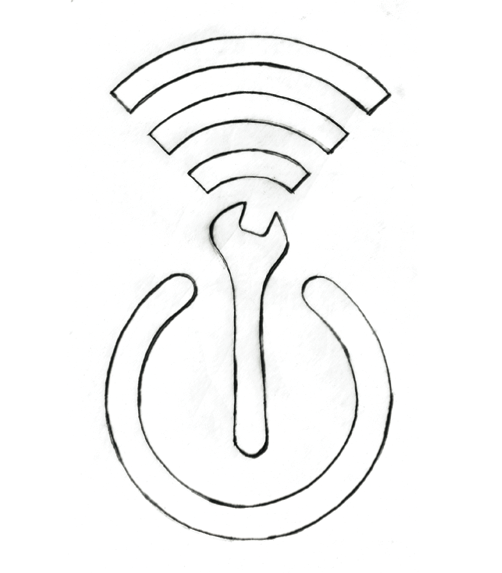 Today, people can benefit from community spaces to repair together, like Restart Parties. Through these networks and communities, we also keep the human element of repair alive, the set of practices and knowledge – including the most implicit or “tacit” knowledge – necessary to make use of our material stuff. Simon’s book “Thrifty Science: Making the Most of Materials in the History of Experiment” will be published by the University of Chicago Press in January 2019.